The new buzz in the B-town is all about Akshay’s newest daredevil film Khiladi 786. 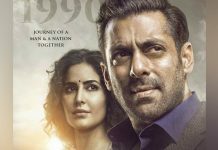 The songs and the promos of the film have both been performing marvelously and have managed to grab great deal of attention from audiences despite mounting pressures from all the mega budget releases lined up for Diwali and even after that. But Akshay Kumar, being what he is, has succeeded in grabbing eyeballs. Koimoi on the eve of Akshay’s new venture brings to you a list of the work he is best known for – being The ultimate Khiladi of Bollywood. Getting nostalgic about Akshay Kumar’s films will encapsulate almost an entire childhood of those who loved watching action flicks in the 1990’s. It has been twenty years of the star in Bollywood and he has slowly escalated himself on the success ladder and currently can claim a place as one of Bollywood’s most reputed and successful stars. Khiladi came as a breakthrough film for him in 1992. Directed by the fantastic duo of Abbas Mustan, the film managed to establish him as the ultimate Khiladi of Bollywood. The term has almost become synonymous to his identity and continues to support his image till date. 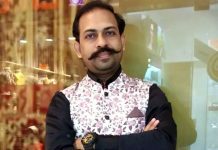 It will be intriguing information that Rajiv Hari Om Bhatia or Akshay Kumar as we better know him, pioneered as a martial artist in the world of Bollywood. He is a black belt in Taekwondo and has been formally trained in martial arts in Bangkok, Thailand. He used to take classes in martial arts before modeling and eventually films happened to him. He debuted in Bollywood with Saugandh in 1991 but it was actually Khiladi in 1992 which established him in a greater way. 1994 was crucial year for him as two of his biggest action flicks, Mohra and Main Khiladi Tu Anari, became the most profitable films of the year. He has come a long way since his early stints to becoming the most profit inducing star in the industry. This year alone, Kumar has 3 super hit films, OMG Oh My God!, Rowdy Rathore and Housefull 2, in his kitty, two of which are a part of the prestigious 100 crore club, namely Housefull 2 and Rowdy Rathore. Taking a look at his Khiladi series, one can gather how much of what Akshay Kumar is determined by the roots he has laid in these films. Khiladi (1992) directed by Abbas Mustan saw him star with Deepak Tijori and Ayesha Jhulka. The movie was an interesting suspense thriller which was the first of Khiladi series. The movie was a super hit film and is remembered as one Akshay’s most successful works. In 1994, Main Khiladi Tu Anari was released. Like the earlier films of the series, this too met with huge box office success and was declared a super hit. The film also starred Shilpa Shetty and Saif Ali Khan. The next from the series was Sabse Bada Khiladi which released in 1995 and was a hit too. The film starred Mamta Kulkarni, Mohnish Behl and Gulshan Grover as well. Khiladiyon Ka Khiladi in 1996 was the next film from this series. The movie had the legendary Rekha and the sensuous Raveena Tandon in lead roles. Rekha was for the first time seen in a negative role on screen. Abundant in sleaze and criminal intentions, the film was a Super Hit as well. The only flop in the Khiladi series was Mr and Mrs Khiladi which was released in 1997, where Akshay starred opposite Juhi Chawla. The film was the only comedy in the series and showed a different side of Akshay Kumar who was mainly recognized as an all in all, action hero. He was back in action 1999 with International Khiladi opposite Twinkle Khanna, who is also his wife now. The film performed averagely at the box office. In 2000, Khiladi 420 was released which met with the same average lukewarm response from audiences. The film is the seventh venture from Khiladi series and starred Mahima Chaudhry and Gulshan Grover. 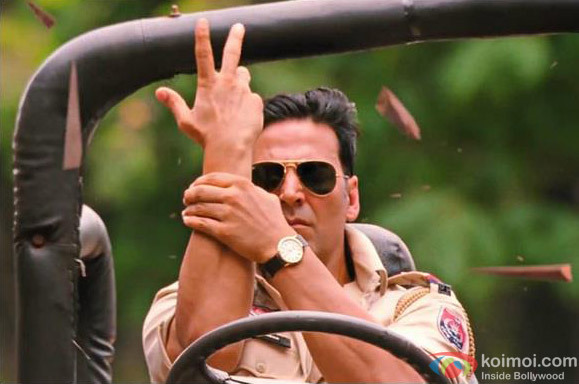 The Khiladi stint was such a craze with the audience that it was replicated on Television as well. Akshay Kumar was signed as the host of the popular television reality show Fear factor: Khatron Ke Khiladi. The star has successfully served as a host of three out of four seasons of the show. Even when Piggy Chops tried her hand at hosting the show, she couldn’t garner the TRPs Akshay managed to get. Akshay Kumar performed stunts indeed brilliantly and enthused the participants with his experience and zest. Though the Khiladi films were almost discontinued post 2000, the Khiladi-ness was kept alive through Fear Factor which is one the most popular reality shows in Indian Television today. Since the franchise is back in a big way with Khiladi 786, this film is all set to give the series an entirely fresh dimension of success, reaching further zeniths! 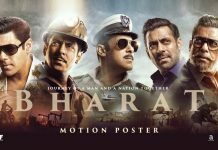 People have appreciated the promos and trailers of the film, the film’s marketing strategies seem to be going the success way, the love of Akshay’s fans will drive the excitement for the film and mostly 2012 has been one hell of a promising year for the star with three super hit films and two of them earning more than 100 crores. The confidence levels are high and so are the expectations. The wind is quite blowing his direction this year and Khiladi 786 would prove to be a fantastic culmination for him. Time will give its verdict for sure as to how Khiladi 786 will eventually perform at the box office. We extend our warm best wishes to the ultimate Khiladi we so fondly adore. R u crazy for Akshay ? Hes just gettin what coming his way with no mind of his own. R u being paid by him ? He has no role in the success of OMG and Sajid Khan deserved to be credited for Housefull. Even Rowdy Rathore is scene to scene copy. If Akshay is a real star, he could have got audience for Joker. Only the movies where the filmmakers think that Khans or Hrithik wont accept or they plan it only for making some quick money, then Akshay is ever ready. Zero quality. Just want to fill his blank bank accounts. Bollywood is going down because of these kind of hero. who is this man knows nothing about cinema and movies and heroes. Infact you look like a retarded beggar. Go and have some mental treatment you looser. Akshay Kumar is the biggest Indian Hero when it comes to screen space. Al the khans are media created and Akshay kumar can hit al the khan with one bare hand by his style and attitude. Its a pitty that media is towards them. And akki the battle on his own. Great and thanks Koimoi team. Guru Jiii.. App to gyani ho…Ghanywaad..!! Its just an article to highlight Khiladi name movie returns. What is question of paid article come?? Also whether director or copy he stock of hero always rises in this market. LOL !!! joker was disaster bcz if its story,direction,effects nd ol other things but it still manged to get business of 20 crores which is bcz of akshay kumar nd he acted well in dat movie lso !!! dont compare him wid ny other coz he`s best in his own way !!! Akshay is Over act actor. His movies all same actions nothing much difference. He shut learn Some acting skill from Amir or Nana patekar…..Tis is True wat am I said abt Him. can anyone tell me why international khiladi and khiladi 420 were just average? they were the best in khiladi series where akki performed real stunts. they deserved to be blockbusters. Akshay kumar is a real stunner…and i like his comedy movie more…i like his all movies…. With talaash releasing one week behind and dabanng coming after 2 weeks it will be hard go more than 110 crores. AKKI IS FAR BETTER THAN ALL KHANS IN BOLLYWOOD…KHILADI 786 WILL BE ALL TIME BLOCKBUSTER….AKKI ROCKS. You already know thus significantly when it comes to this matter, made me personally consider it from a lot of various angles. Its like men and women aren’t interested unless it is one thing to do with Lady gaga! Your individual stuffs great. At all times deal with it up!